The head of the US Armed Forces in the Middle East says Tehran must be stopped and its attempts to "destabilize" the region. The Islamic Republic, number one enemy along with extremist groups. Among the Gulf countries, the divisions between Riyadh and Doha remain. 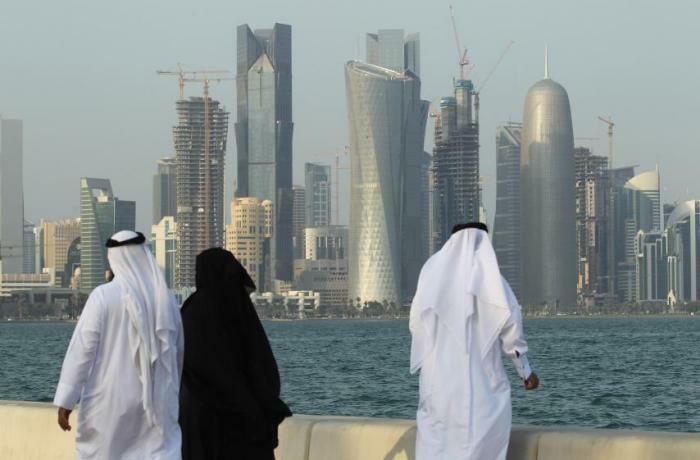 The Saudis want to turn Qatar into an island. Kuwait City (AsiaNews / Agencies) - Arab Gulf nations must put aside differences and divisions – above all the clashes between Riyadh and Doha - to form a common front against Iran and its attempts to " destabilize "the region. This was stated by General USA Joseph Votel, the central command camp in the Middle East, according to which the two main "threats" to regional security are concentrated in extremist groups and the Islamic Republic. The military leader spoke at a conference held yesterday in Kuwait, which included representatives from Saudi Arabia and Qatar, nations long involved in a very hard diplomatic and commercial confrontation. Reasons for friction include relations between Doha and Iran, the main Shiite power in the region and the number one enemy of the Saudi Sunnis. According to the US general it is "imperative" to enhance and integrate "our capabilities" to ensure better protection of "interests in terms of security", which "exceed" every other aspect. An invitation to set aside differences and divisions to form a common front. Among the main proponents of the proposal is Kuwait, which has long been working in agreement with Washington to "re-launch the alliance at the regional level" in an anti-Iranian key. Meanwhile, Saudi official sources confirm the progress of the project initiated by Riyadh and intends to transform Qatar - a peninsula united with Saudi Arabia from a strip of land that acts as a border - into an island. "I look forward to the details of the development plan of the project linked to the island of Salwa" Saud Al-Qahtani, one of the most esteemed adviser of the Crown Prince Mohammed bin Salman (Mbs), said in recent days. He added that the "grandiose" plan will end up "changing the geography of the region". Rumors thus confirm Riyadh's goal to dig a canal along the border (61 km in total) with Qatar, included in the "Salwa Project". Al-Qahtani, one of the great supporters of the project, did not want to provide more information on the start date and overall timeframe for the project. Some unconfirmed sources speak of a pit - which will also become a tourist site, a military base and a site for the disposal of radioactive waste - 200 meters wide and 20 meters deep, for a total cost of 745 million dollars. And perhaps it will isolate Qatar even more from the rest of the Arabian peninsula. Gulf Crisis: Riyadh says anti-terrorist agreement between the US and Qatar is "insufficient"